☎ Call @NashvilleDems 629-888-3237 or 615-479-8320. 📱In Chattanooga, Knoxville and Memphis call 833-508-RIDE (7433). 💙 Don't forget @Lyft and @Uber are offering free rides. 📞 Call your local Democratic Party or one of your local candidates. You can also call @TNDP at 615-327-9779. 🗳 Have a problem at the polls in Tennessee on Election Day? Remember you can ask for a provisional ballot or a different machine if yours has a malfunction. 📱 For help, call @TNDP #ElectionProtection anti-#VoterSuppression hotline at 855-844-8683. 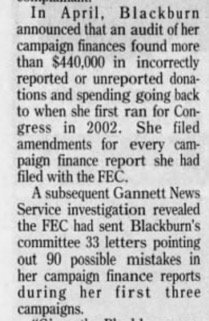 Just this week another close @VoteMarsha pal, Judson Phillips - her mouthpiece for years - was disbarred for fraud.